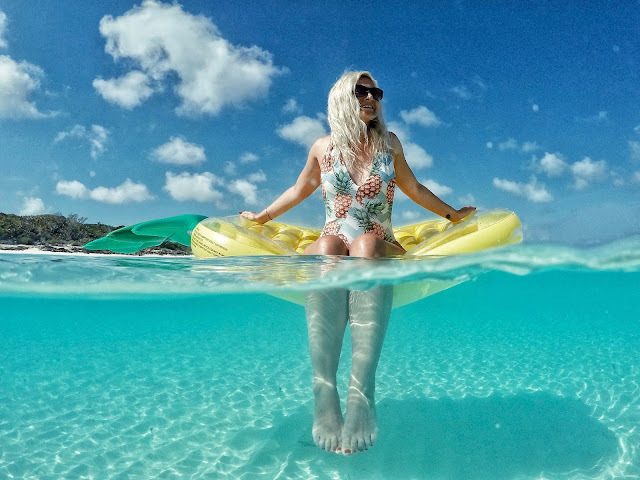 Bahamas made its way on our bucket list the moment we saw the videos of actual pigs swimming in perfect turquoise water. We immediately wanted to jump right in with them and enjoy this incredible experience. 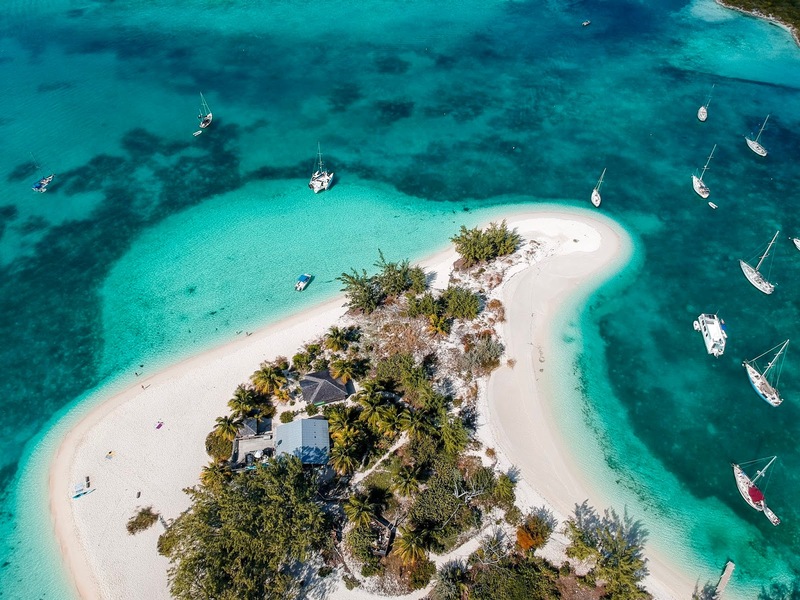 Bahamas is definitely an up and coming destination for Europeans, but an overly popular one for US tourists and yacht owners. The Bahamas is an archipelago comprised of several major islands and over 700 cays, however as they are very spread out it is difficult to travel between the islands unless you have a sailing boat. Also the only way to get from one island to the other by plane, is by always flying back to Nassau, the capital. Private tours from one island to the closest one start at 1500$... Cheap right? Nassau is the most touristy of the major islands, with big resorts and a lot of restaurants, but if you have been following us for a while you know that we tend to avoid touristy places (where possible), therefore we decided to go to Exuma on our first visit to The Bahamas. - Although Nassau is the touristy one, Exuma is the most famous of them all and for good reason, however it is a very laid back island. Unlike Nassau where you have a lot of restaurants and shops, Exuma has a very local and remote feeling. 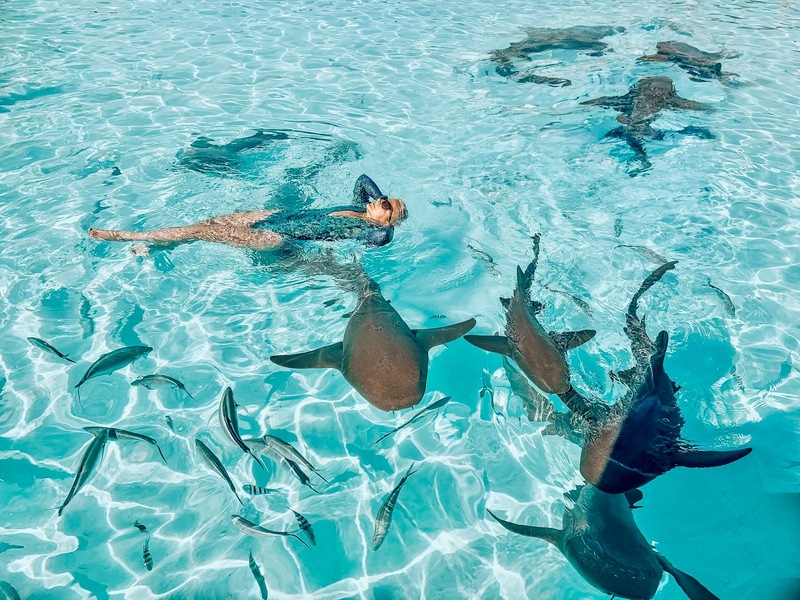 - The main reason we chose this island was the proximity to the main attractions, Staniel Cay where you get to swim with pigs and Compass Cay where you get to swim with sharks! Yes, sharks! I got your attention now, huh? You little daredevil, you! 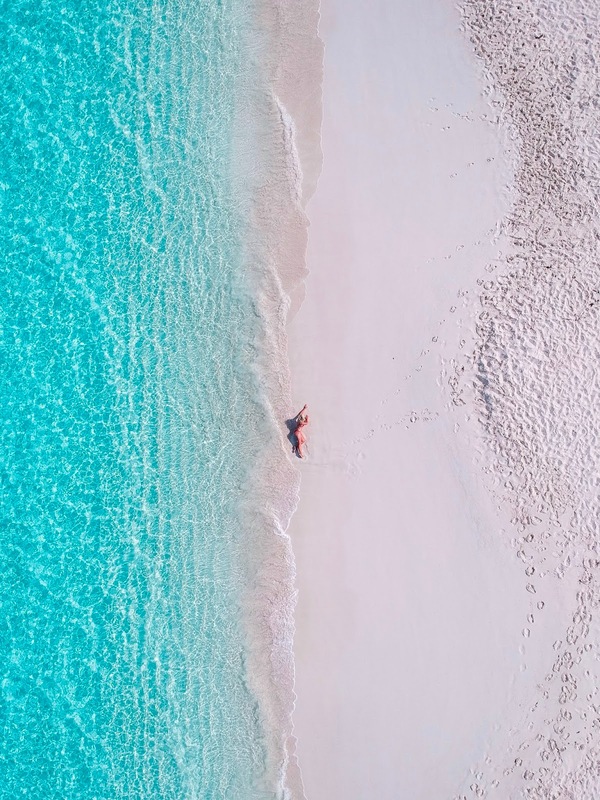 - Exuma is also known to have the best beaches in The Bahamas and the best part of it is that most of the times you will have them for yourself. - Expect everything to be expensive! From accommodation, to day tours, and even food. To get an idea, the cheapest bread was 4,50$. - I mentioned above that the island has a local and remote feeling; this implies limited options in terms of food. There are only a few markets around the island where you can buy groceries, but you really don't need hundreds of them. - Being this remote, food cargos do not come daily, so there will be times when the markets will run out of merchandise, this might even include the basics, like milk and bread. - To better explore the island it is best to rent a car and you might want to do this with some time in advance as there are limited car rental companies on the island. We rented a car from Berlies Car Rentals where prices start at 60$/day for the cheapest car. Also a deposit of 300$ was required. - There is only one bank on the island, so my advice would be to have cash with you. US dollars are accepted and they are at the same parity with the Bahamian dollar. Also, many of the shops do not accept credit/debit cards. - The tide and the wind have a huge influence on how the island looks. Unlike other islands that look desolate like Mars on low tide, Exuma looks ideal when the tide is low and the water is calm. This is when you get to see its true charm. After all the Bahamas name comes from “baja mar” which means shallow waters. - The island sort of “shuts down” after 6 PM and there is no nightlife here, so if you feel like a party animal this is definitely not the place for you. 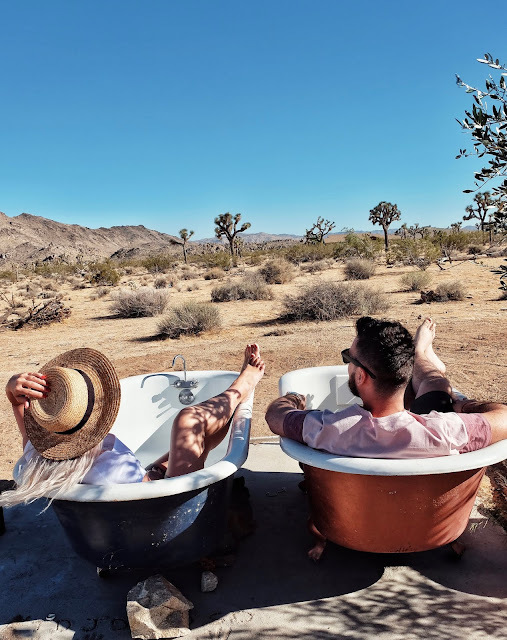 If you like to relax, unwind and enjoy the freedom, it is without a doubt worth it. - Restaurants will add an additional 12% tax and even 10% gratuity, besides the actual price on the menu. - Mosquito repellent would be a good thing to pack, as they have these nasty dusk mosquitos that won’t leave you alone! The best time to visit The Bahamas is during winter, starting December until around March - April. This is when the weather is the most perfect with less rain and no winds, which calms and clears the waters, giving you the feeling of swimming in a giant pool and making your experience the true Bahamian charm. 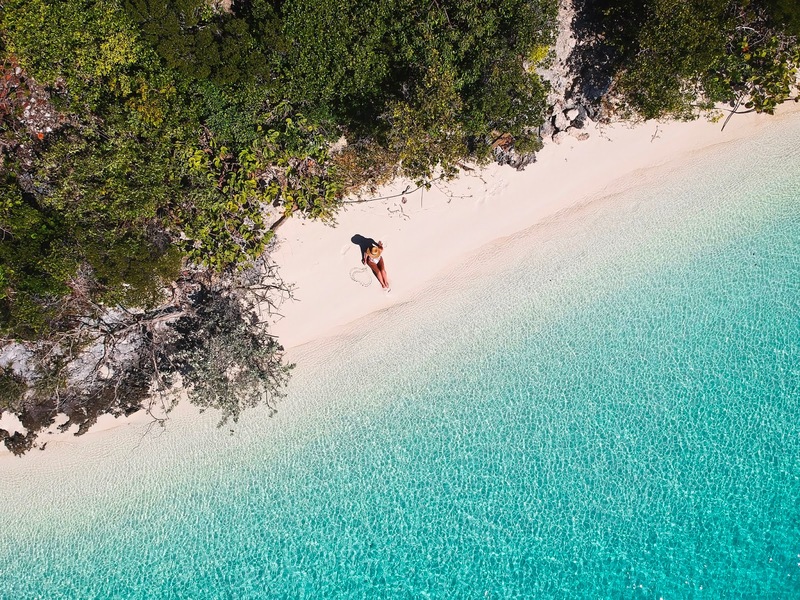 There are daily direct flights from Miami and Ft. Lauderdale to several major islands like Nassau, Great Exuma and Eleuthera. We flew from Miami to George Town, Great Exuma with American Airlines. The flight was less than 1 hour and the price was a bit over 200$ per person. George Town is the main city in Great Exuma and here in the centre you will find the market, the bank and the water taxi marina. If you choose to stay at a fancy resort then I guess that the location doesn’t really matter, otherwise the proximity to the city centre is a good advantage. We stayed at Hideaways resort that was around 20 minutes walk to the centre, but they had a complimentary shuttle bus to take us there at every 2 hours. 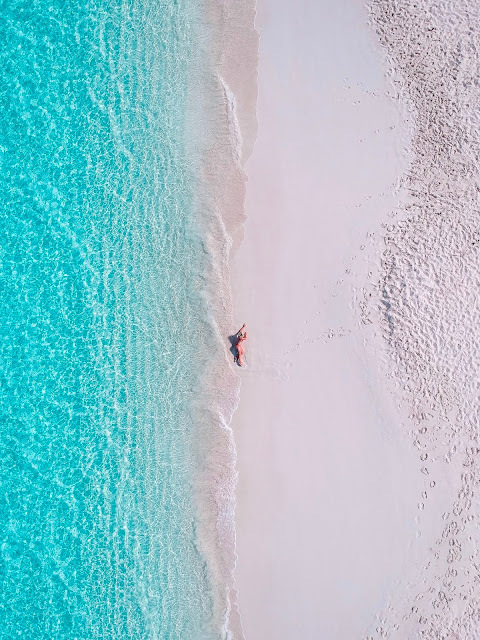 The article about the things to do in Exuma is in the making so stay tuned to read more about this dreamy place called the Bahamas!